I’ve just finished The Plague by Albert Camus which, I have to admit, has surprised me. I had always thought that Camus wrote difficult existentialist books, bleak and dismal – but this is actually incredibly readable and really very enjoyable. It’s also quite realistic, depicting a town in Algeria where a virulent strain of bubonic and pneumonic plague has taken hold. If you’ve ever seen the series Containment (either the original Belgian version, called Cordon, or the US remake) you will immediately understand the plot of the novel. Here it starts with rats, dying in their thousands, and then the first people die of a strange looking viral illness. It takes the doctor, Rieux, some time to persuade his colleagues and public health officials that it is, in fact, bubonic plague, but once the disease is formally identified – and the body count starts to rise – the town is placed under a cordon sanitaire to prevent the disease from spreading. The bulk of the novel is how the occupants of the town survive in the face of virulent disease and what, to all intents and purposes, are siege conditions. It’s this human element that makes the book interesting. While there are some quite graphic descriptions of the disease in the early parts of the book – do we really need to know about lancing buboes? – by the time we are halfway through, we have a central collection of characters who are all trying to survive as best they can. We can feel their exhaustion and sympathise with their despair or desire to find a way to escape, no matter what. At times, I found myself asking how I would cope in that situation and the simple answer is that I don’t know. A lot would depend on whether I was alone or with members of my family, and if anyone I knew were sick. It’s something nobody can predict unless they were in that situation and it’s not a situation you would wish anyone to be in. That said, I was very impressed with how easy the book was to read. There is a little existentialist philosophy and a fair bit of grimness, but given the plot, that’s hardly surprising. I’d definitely read it again. I’ve been unfriended on Facebook again. It happens periodically and often for reasons I never find out, but given that I don’t have a great many friends to start with, I notice. I don’t let it bother me though; there are always reasons and frankly, I don’t let social media govern my life anymore. I think I read somewhere that the average person has 300 friends on Facebook and roughly 200 followers on Twitter. I believe figures are similar for Instagram and Tumblr, but as I’ve never used those, I can’t comment. I recently deleted my Twitter account (and don’t miss it) but at its maximum I had 50 followers. On Facebook, I have 45 friends and at least two thirds of those are people I’m related to. Followers come, followers go; some block, some just never follow back; some keep turning up like bad pennies no matter how many times you hit the “ignore” button. And if you don’t have many followers, like me, it’s very easy to read things into this that simply aren’t there. For example, I was recently unfollowed by someone I’d always considered quite a good friend. We’d met in real life, and knew each other really well. I’ve no idea why she’s chosen to unfriend me, but I’m certain there are reasons behind it which will become clear in the fullness of time. It would be very easy to view this as a personal slight, but I don’t. 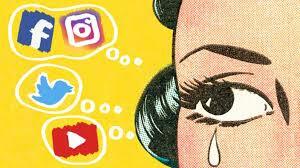 It may just be that I don’t view social media as that important any more. It’s a method I use to keep in touch with people on a regular basis that is cheaper than the phone, quicker than a letter and often more entertaining when animal photos are involved. It’s very easy to fall into the trap of measuring one’s popularity by the number of “likes” or “retweets” one gets on social media; but that’s not a true measure of popularity at all. It’s a trap I’ve fallen into myself, and it’s been a cause of great pain and upset in the past. It’s really important to remember that there is more to life than social media. In fact, there’s an entire world that doesn’t involve a computer screen. Revolutionary I know, but I’ll share one nugget of wisdom with you – since I’ve stopped measuring my life by social media, I feel a whole lot less inadequate. I seem to have acquired over the years a wonderful variety of short story collections over three main genres – detective and crime fiction, science fiction and horror. This is a little known short story from a collection of vampire stories called Dracula’s Brood, which is a fabulous selection of stories that I’ve never even heard of before, even if some of the authors are well known. Set in rural late 19th century France, where strict Catholicism lives alongside country superstition, a sedate middle aged bachelor goes to Paris and returns with a wife. Striaght away it is clear that the wife, Madame Carbanal, immediately doesn’t fit into village life; she attends Mass but doesn’t know her way round the prayer book; she is calm and placid where the villagers are fiery and passionate; and, of course, she is English. Matters are not helped by M. Carbanal’s housekeeper, who was also his mistress, greeting the newlyweds with a bouquet of poisonous flowers. Anyway, after considering all the evidence, clearly Madame Carbanal must be a vampire, so the villagers rise up and kill her, led by the tarot-reading and highly superstitious gravedigger and the housekeeper. This story, though, is particularly scary because I had read of a real-life incident that was remarkably similar. 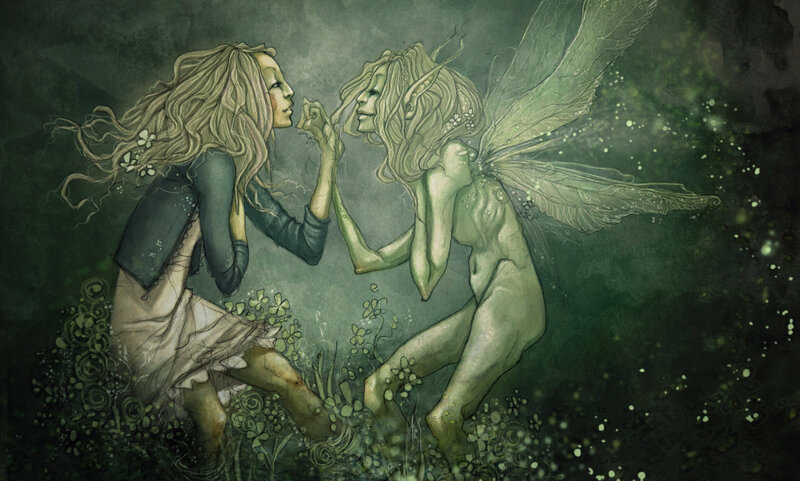 In late Victorian era rural Ireland, a man murdered his wife because he had become convinced that she was a fairy changeling. A report of this story can be found on the Virtual Victorian website (by Essie Fox, a wonderful novelist) but don’t blame me if you get side tracked by all the other fantastic things she has on there. To a modern mind, though, it does seem strange that people used to be so superstitious and would genuinely believe that difference clearly meant something evil and wicked – and preferably removed from the vicinity. I would like to think that these days things would be different, but I have to admit, recent genocides in Eastern Europe, Africa, Syria and now Myanmar do make me wonder. 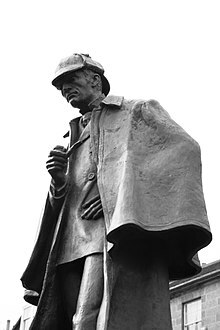 One of the things I have noticed reading The Hound of the Baskervilles recently is how obvious it is that Conan Doyle wrote it for serial publication. Many of the chapters have cliffhanger endings – none more notably than the famous quote “Mr Holmes, they were the footprints of a gigantic hound!” – and all of the chapters are quite short, as if the reader’s attention span was on the limited side. I’m not sure how many items were published in each edition of The Strand Magazine, so it may have been necessary for writers to ensure that their work stood out and encourage readers to buy the next issue and find out what happened. 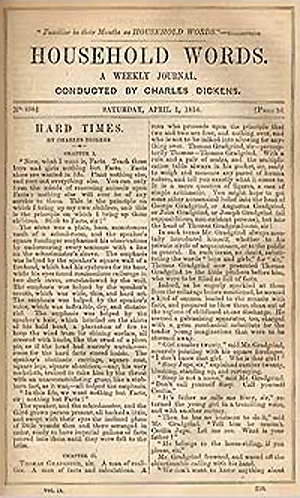 Serial publication was a common method used during the Victorian era, when many novels were published in three volumes and were often expensive. By printing instalments in magazines, authors could reach a much wider audience, who did not need to spend a great deal of money on literature. Given that there was no such thing as television or radio, many evenings were spent in reading aloud stories and articles from magazines and newspapers; it wouldn’t surprise me at all to find that different members of the family read different stories out to each other. It’s what I would do. Some authors, such as Charles Dickens, had the means to publish their own work serially, as Dickens owned and ran the magazines All The Year Round and Household Words, which also published the works of his friends Elizabeth Gaskell and Wilkie Collins. However, the majority of other authors were not so lucky and had to fight for publication in an extremely competitive world, so their stories had to be exciting and end in a way that left the editors demanding the next instalment. Obviously, with the advent of cinema and television, serial writing turned into another form of drama; soap operas and weekly thrillers all required audiences to return to find out what happens next. Cheaper books and fewer fiction magazines also led to serial publication dying a death. Stephen King tried to revitalise it with the initial publication of The Green Mile, but it didn’t work out too well, and the novel sold better in a one volume edition. As far as I’m aware, nobody else has tried it since. The techniques of serial writing are always useful; if it keeps readers turning the pages and interested in your story, it can’t be a bad thing. Just try not to include the footprints of a gigantic hound. You’ve Seen the Film, Now Read the Dratted Book! There’s another version of Murder on the Orient Express doing the rounds as I write this – it’s been out a while and if it’s not yet out on DVD it soon will be – and I’ve just got round to reading The Hound of the Baskervilles after having seen at least three different film versions. Although I’m fairly sure I’ve commented before (if not on here then on social media) about Hollywood seemingly running out of ideas and filming the same things over and over, I do wonder if it’s possible to enjoy a novel if you’ve only ever seen the films. 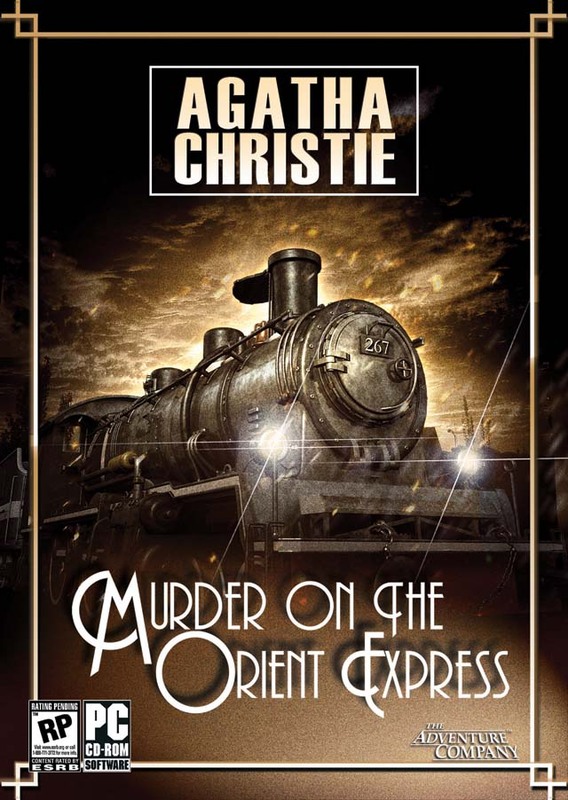 I’ve been quite lucky in one sense, because I had read both Hound of the Baskervilles and Murder on the Orient Express before I remember seeing the films (thanks to my gran being a classic crime lover) but as both of these have been filmed numerous times I expect that I am very much in the minority. When I did see the films, I saw what have become classic versions – Peter Cushing as Holmes and Peter Ustinov as Poirot – so again, I was very lucky. (I felt even luckier when I saw the Basil Rathbone version of Hound of the Baskervilles – he’s still my favourite Holmes). Even now, if I find out that a novel is being filmed (or has been filmed) I try and read the book first. I’ve put off seeing films for years so that I can get the book read – I couldn’t watch A Passage to India for years because I did the book at A level and simply couldn’t face puzzling out what happened at the Malabar Caves. Great Expectations was another one it took me years to get round to, but that was because I wanted to throttle Pip every time he appeared on screen. However, there is a glaring exception to this general rule of thumb, and that is John Buchan’s The Thirty Nine Steps. I’ve now seen three different versions of this (Robert Donat, Kenneth Moore and Rupert Penry-Jones) and still haven’t got round to reading the book. I’m not sure now whether I want to; there are such differences between each of the movies that if it doesn’t appear in the book I will probably feel a bit let down – and the book isn’t the thickest. So my question remains unanswered. If you’ve seen a film – especially one that’s a remake of an earlier version – can you enjoy the book afterwards? A bit of a variation on this theme actually. When I previously wrote about Alias Grace, I considered it to be a novel that covered many Gothic themes but without being considered a Gothic novel. This time I’m swapping things around and looking at a novel which many consider to be Gothic but which I don’t believe is actually Gothic at all. That novel is Arthur Conan Doyle’s classic The Hound of the Baskervilles. 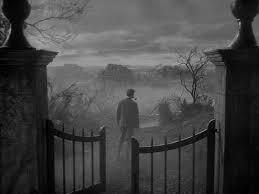 It is very easy to see why many people consider this to be a Gothic novel. 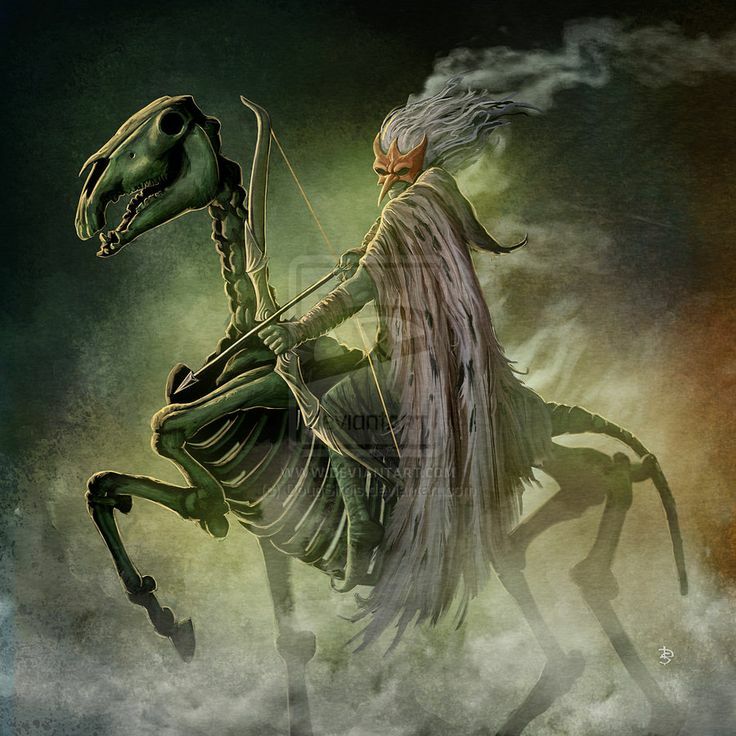 It does have certain – shall we say – spooky elements; the bleak and desolate moors, a large spectral hound and a family curse. However, there are important elements missing which I think are quite crucial to a Gothic novel; these are the large house which itself plays a role in the plot, and a damsel in distress, which in turn necessitates a brave hero to defeat the villain. In Conan Doyle’s hands, everything changes. Baskerville Hall, although mentioned and described, plays little role in the plot with most of the action taking place on or around the moors. 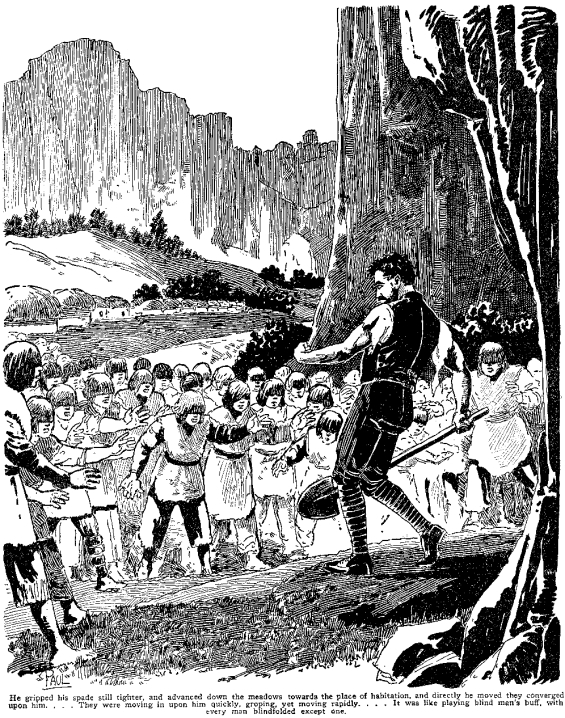 There is no damsel in distress – the family curse affects Sir Henry Baskerville who, by modern standards, may be a bit of a drip was at the time probably quite an average young man and by no means considered sickly or pathetic. The hero of the piece is, of course, Holmes, but he is hardly a Gothic hero by any means. I think it’s the moorland setting that allows it to be compared with (say) Wuthering Heights, which is a Gothic classic, or the “spectral” hound which definitely adds a spooky feel. Unfortunately, since Holmes is involved, there is a much less supernatural explanation to both the dog and the family curse, depleting any further Gothic element that the novel may have had. Perhaps this is why, much as I love Holmes and much as I love Gothics, this doesn’t seem to fit right. It’s been part of my Gothic Book Group for a while, but unlike some of the other books we’ve looked at, I’ve really struggled to write about this one. It’s taken me some time to come to terms with the fact that actually, it’s not a Gothic at all – it’s just a very good book. 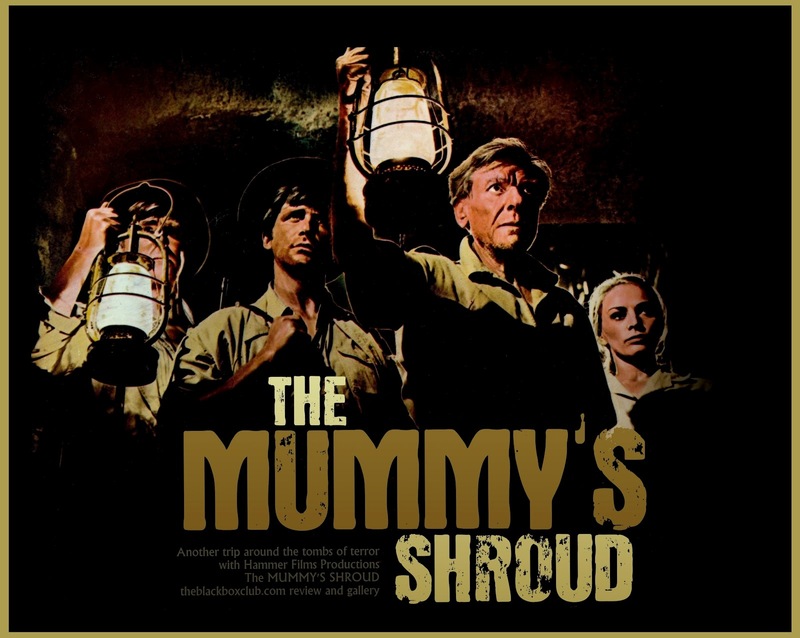 A pleasant afternoon was spent a while ago watching a classic Hammer horror film – The Mummy’s Shroud, made in 1967. To my mind, it’s testament of how times have changed; when it was made, it would have been at least a 15 certificate and certainly not shown on telly before the watershed. These days, it’s barely a PG and on the telly at one o’clock in the afternoon. The offspring, although not quite a teenager, deemed it to be completely not scary, and I have to agree. One thing, though; in comparing The Mummy’s Shroud with its predecessor, The Mummy (which starred Christopher Lee but is essentially the same story if truth be told), keeping the action in Egypt was a smart move. For one thing, it makes the murder investigation seem a little more plausible. The bulk of the action is set in 1920, at a time when Egyptology was still very fashionable but before the great Egyptian craze that was sparked by Howard Carter’s discovery of Tutankhamun. It’s a fairly standard plot, yet another variation on the curse of the Pharaoh (i.e. death and destruction fall on all who desecrate the sacred tombs) but with the variation of the curse actually being embroidered on the late Pharaoh’s shroud. However, unlike the earlier movie, The Mummy’s Shroud is set in a town just outside of Cairo – near enough to the sea for boat passage to England to be available, but near enough the desert for lost tombs to be a feasible possibility and within searching distance. It’s also noticeable that at no point in the movie do pyramids feature (and I was careful to check the scenery as well) and there is a wonderful cosmopolitan atmosphere, a mix of Arabs and westerners mingling next to the relics in the museum. And I don’t just mean the cleaner. I really think that keeping the action in Egypt is a great thing for this film; the inability of the characters to return to England (at the police’s insistence) adds to the sense of claustrophobia which is increased by the tomb and the villainous fortune teller. In places, it’s genuinely creepy but it’s soon mitigated by being really quite daft. It’s a great film, with a suitably villainous hero and a reasonably justifiable villain. It’s just a shame that the original story didn’t really merit the sequels it spawned. I’ve been reading Sherlock Holmes again; but not one by Arthur Conan Doyle. In common with many other great characters, such as Hercule Poirot and James Bond, modern authors are using Holmes and Watson to create new adventure stories, with varying degrees of success. Rather fortunately, the one that I’ve just finished* was a cracking good story with more than a few nods to previous (and much enjoyed) adventures. However, not all are like that and it has to be said that some of these more modern renditions have met with very mixed reviews. Indeed, some writers have met with difficulties if they are using the characters without the permission of the original author’s estate who can, if necessary, prevent publication if they do not believe that the author’s vision has been treated properly or – being cynical – if they will not receive any royalties from the character’s use. It’s not new for a writer’s estate to be obstructive; Mrs Stoker stood in the way of the release of the German film Nosferatu back in the 1920s, because she believed – probably with some merit – that it was a direct rip off of her husband’s best known work. All of this said – and as I have mentioned previously – some characters you just can’t keep down. Dacre Stoker is writing a prequel to his great-great-uncle’s novel and has already penned a sequel of sorts – both of which were quite unnecessary in my opinion. Ian Fleming’s estate has approved a number of James Bond sequels from distinguished writers, including Sebastian Faulks and Jeffrey Deaver, and recently Agatha Christie’s estate have approved a new Poirot novel. On the one hand, this is great – I love a good Sherlock Holmes/Hercule Poirot story, and finding one I’ve not read yet does give me a thrill – but on the other hand, it’s not really original is it? What would be really wonderful is if more fantastic, larger than life characters could be created to captivate a reader’s mind so much it inspires sequels a hundred years later. I’m fairly sure in the fullness of time we will get further adventures of (say) Harry Potter or Buffy the Vampire Slayer, but I would really like to see some new and interesting characters grab the popular imagination. It’s been done before – it can be done again. And in the meantime, I’ll just keep reading all my favourites. * James Lovegrove’s The Labyrinth of Death published by Titan Books. There are a few books in the series, but this is the only one I’ve read so far. I’m told some of them aren’t great. In the Country of the Blind is the One Eyed Man Really King? One thing that I’ve learned from reading Day of the Triffids is that being sighted may not necessarily be the best thing. Admittedly, you’re aware of the location of triffids, so are less likely to become their next meal – but you’re also just as likely to find yourself at the mercy of a blind person intent on using your sight to keep himself safe. This happens a number of times in the novel, where sighted people are basically used as minders, to find food and shelter and protect their blind charges from triffid attacks. This led me to thinking whether having sight in a world where it is a minority is actually a good thing. It forces one to consider arguments about disability very carefully; just because deaf, blind or otherwise disabled people may be in the minority is that necessarily a bad thing, or do they have other advantages over “normal” people? (I put “normal” in inverted commas, because there is no real definition of normal and I don’t really want to get into an “us and them” argument). Clearly, some of the blind people in Wyndham’s novel were clever enough to see a way to manage their situation – admittedly by slavery – and it’s also apparent that not all of the sighted people are adjusted enough to make the best of their terrible situation. It’s an interesting thought that in the land of the blind (or deaf, or wheeled or whatever), the fully able many not necessarily be king. There are disadvantages to being fully abled in that the blind are well adjusted to working in the dark; the deaf have adapted to noisy environments; and so on. I don’t know whether it’s true that some disabled people have improved function in other senses (i.e. the blind have better hearing, or the deaf a better sense of smell) but I can see how that would work. It’s a fascinating way to consider how being disabled may not actually be such a terrible thing after all. Early on in John Wyndham’s best known novel, The Day of the Triffids, one of the characters suggests that the triffids had the potential to become the dominant species: having adapted to a sightless existence, in the event of humanity becoming blind, the triffids would become top predator. It is, in my opinion, a clumsy way to explain your plot, but since we are already aware of the fate that has befallen the majority of humanity, I suppose Wyndham gets away with it – just. What is less clear is the link between the triffids and the “meteor” shower which blinds everyone; it may be a combined Soviet experiment in biological warfare, or it may be that the triffids are simply exploiting the new ecological niche. If I’m honest, I’ve never really thought of John Wyndham as an environmental writer, but its clear in this novel that he is concerned about the relationship between humans and their environment, and in particular in the fact that many people at that time were completely disconnected with the means of food and clothing production – Bill Masen, the narrator, himself admits that he had no idea where his food or clothing came from. It is this disconnect that many dystopian writers manipulate to create the horror in their worldview. I do wonder if people living in cities today would manage any better – I like to think I would, but I’m never sure. The triffids themselves are quite fascinating, occupying a space somewhere between plant and animal. They look like plants and reproduce like plants, through seeds – although ninety five percent of the seeds are sterile, which is probably a good thing – yet they are ambulant, have a sting, apparently communicate and are carnivorous. 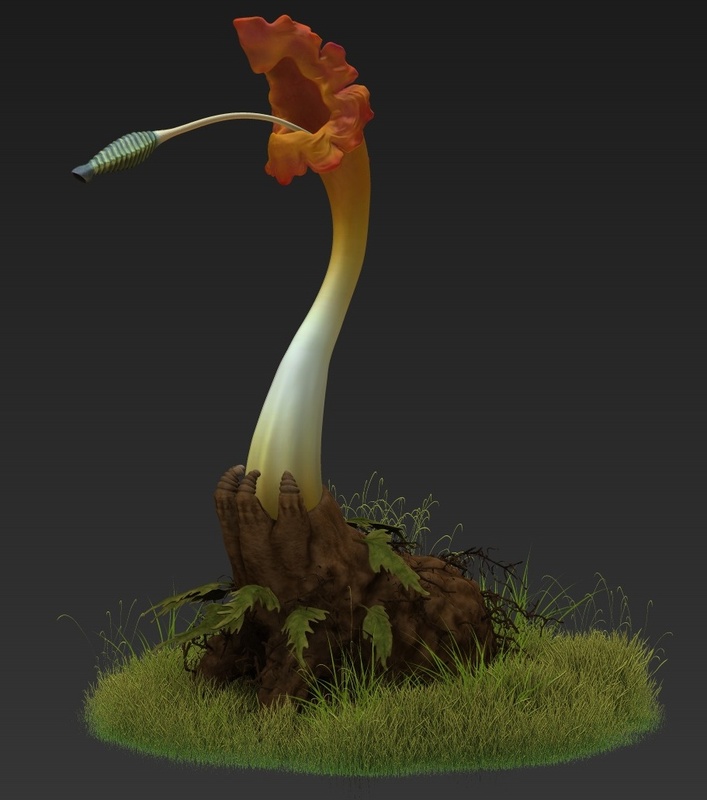 Now I know there are carnivorous plants, and plants that sting and apparently communicate with others of their species – but they’re not ambulant. So Wyndham uses language somewhere between botany and agriculture when writing about them. It’s quite fascinating. Ultimately, though, it’s a Darwinian parable. If evolution is about survival of the fittest, given a change in the environment, it’s very possible that humanity may no longer be top of the tree, as it were. Post-apocalyptic fiction relies on showing the adaptability of humankind, but it’s very clear from Wyndham’s novel that people simply haven’t evolved to deal with triffids.